1. What is the purpose of the District’s Random Drug Testing Policy? Mars Area School District Policy 227.1 Random Drug Testing is an extension of the District’s controlled substances/paraphernalia policy. The purpose of District Policy 227.1 is to create an alcohol and drug-free setting for all students and District employees. 2. Which students does the District’s Random Drug Testing Policy affect? District Policy 227.1 Random Drug Testing encompasses all students in Grades 7-12 wishing to participate in any interscholastic athletic activity, any extracurricular activity, or those who meet the District’s guidelines to drive on campus and wish to obtain a parking permit. The policy includes those students being educated by the District under special circumstances, including home schooling. The District welcomes all referenced students, with the permission of their parents/guardians, to participate in the program. Those students who are not seeking privileges for parking, participating on athletic teams or an extracurricular activity will be considered voluntary participants. 3. Why are students who participate in athletics, activities and who drive to school the only students required to participate in the District’s Random Drug Testing Program? It is the belief of Mars Area School District that participation on any interscholastic athletic team, extracurricular activity or driving/parking a personal vehicle is a privilege, not a right. Students who volunteer to participate in these programs are expected to accept the responsibilities granted to them by this privilege. These students, as well as their parents/guardians, must also recognize that because of their choice to participate in these activities, they have a lesser expectation of privacy than do other students. 4. Are these students more likely to be affected by drugs? The effects of drug usage, in particular, in an educational environment are visited not just upon the users, but also upon the entire student body and faculty, because the educational process may be disrupted and the individual’s safety risk factor is increased. With regard to school athletes and students who drive, the risk of immediate physical harm to the drug or alcohol user or those with whom the student is playing a sport or sharing the highway is particularly high. 5. If a student tests positive for drugs, will it affect his/her academic standing? As this is a non-curricular occurrence, no recording of participation or of any test results, either positive or negative, will appear on the student’s permanent transcript or any other permanent record. In addition, students participating in the program for the full year, and who have no true positive results from the testing throughout the year will receive a certification at the end of the year. 6. Why does Mars Area School District need a Random Drug Testing Program? Mars Area School District prohibits the possession, use, misuse, or the distribution of drugs, controlled or mood-altering substances, including anabolic steroids, look-alikes, designer drugs, drug paraphernalia, health endangering substances, medication not registered with the health office, or alcohol on School District property, school buses, or during activities under School District jurisdiction. 7. Can students be tested without parental consent? The District will require any student who is submitting to testing and the student’s custodial parent/guardian to consent in writing to drug testing pursuant to the District’s drug testing program using the form provided by the District. 8. If a parent does not consent, will a student still be able to participate in athletics, activities, or drive to school? No. Students will not be permitted to participate in any interscholastic sport, any extracurricular activity, or to obtain a parking permit without parental consent for random drug testing. 9. When will parent(s)/guardians(s) and students be required to complete the Consent Form? Prior to the beginning of the new school year and/or at the beginning of each sport season, student drivers, student athletes and parents/guardians/custodians will complete and sign the District's Drug Testing Consent Form, regardless of the student’s age. Students will complete one (1) consent form per school year. 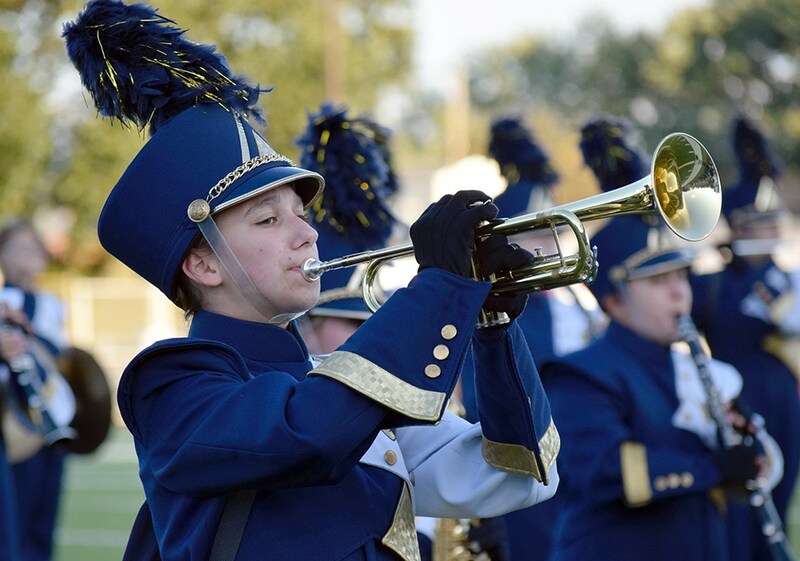 No student may purchase a parking permit or participate in practice or competition until these forms are properly executed and on file with the appropriate Building Principal. 10. Who pays for the random tests? The District will incur the cost of the random tests. 11. How often will students be drug tested? At the beginning of the school year and/or of each sport season, or when a student moves into the District and joins a sport, students wishing to purchase a parking permit or wishing to participate in that season’s sports or participate in any extracurricular activity will be subject to urine testing for illicit or banned substances. All students will remain in the random pool until the end of the school year. Eligible student athletes, activities participants, or student drivers will be randomly tested on a periodic basis. 12. How will students be selected for drug testing? Once provided a list of eligible student athletes, activity participants, and student drivers, the vendor will select the required number of students in a random and confidential manner. Periodically, the vendor will arrange with the Building Principal or Athletic Director a day and time to do the collection of specimens. The schedule will not follow any recognizable pattern. Saturdays and Sundays will also be utilized to collect samples. The selected student names will be given to the Building Principal or the Athletic Director, who will arrange for these students to report to the collection area. Students will be given as much privacy as possible in the obtaining of the specimen. The student will take home the parent/guardian copy of the Chain-of-Custody form to verify testing occurred. 13. Will parent(s)/guardian(s) be notified when a student is tested? Parents/Guardians will not be notified of the random drug test prior to the test. 14. Are there exemptions from drug testing? Any student wishing to participate in a sport or activity with a tryout period of less than five (5) days is exempt from taking a drug test until they have been selected for the team or activity. A student who is finished with the activity and does not intend to continue participation for the remainder of the year may be removed from the program with a signed letter by the parent/guardian directed to the Building Principal. 15. What if a student refuses to be drug tested? Any student who refuses to submit to urine drug testing will not be allowed to practice or participate in his/her activity or athletic event and will be refused driving privileges until the student agrees to do so. Any eligible student athlete, activity participant, or student driver selected randomly for urine drug testing who is not in school will be tested at the next available testing time. Students who are present and not able or are unwilling to provide an adequate urine specimen at testing time will be withheld from practice or competition and their driving privileges will be withheld until the student provides the required specimen. 16. If a student is not available to test in school, will he/she be required to test at another location? Arrangements may be made for special collections at a vendor collection site with prior approval of the Building Principal or Athletic Director. There may be an additional fee, paid by the family, associated with the use of an off-site collection point. 17. Who will oversee the collection of specimens? 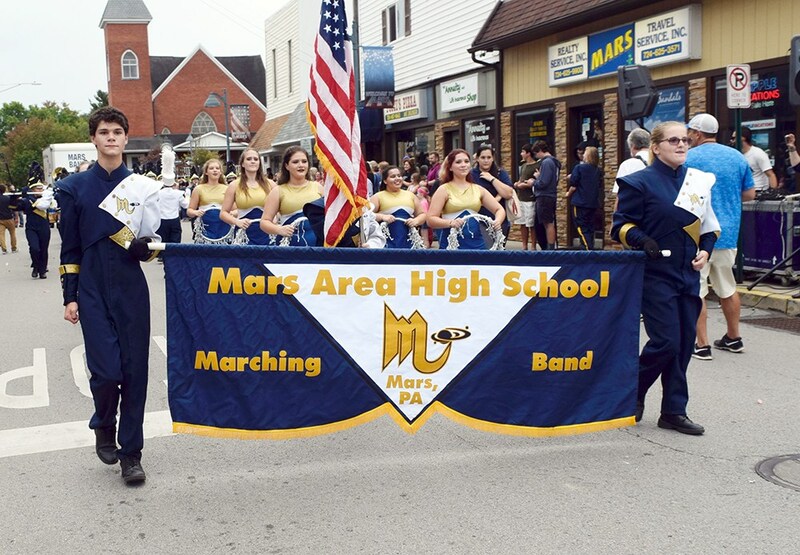 The vendor selected by the District will oversee the collection of urine specimens as outlined in the Procedures For Random Urine Drug Testing Of Mars Area School District Students Participating In Interscholastic Sports. Students will be given as much privacy as possible in the obtaining of the specimen. Chain-of-Custody forms will be provided by the vendor that meet the criteria of District Policy 227.1 Random Drug Testing and that of the testing laboratory. 18. For what substances will the specimen be tested? The vendor selected by the District will have all specimens tested for the specified illicit or banned substances by a qualified laboratory certified by the Substance Abuse and Mental Health Services Administration (SAMHSA). 19. What is required of the testing laboratory? The testing laboratory will have experience in toxicology testing and chain-of-custody procedures. All specimens must be initially tested using a highly accurate immunoassay technique, with all presumptive positive results then confirmed by a Gas Chromatography/Mass Spectrometry (GC/MS) or the Liquid Gas Chromatography/Tandem Mass Spectrometry (LC/MS/MC) confirmatory test. Screening and confirmation thresholds will be set on recommendation of the Medical Review Officer (MRO). The testing laboratory must be able to test for the following: drug classes, substances or their metabolites in collected urine specimens. 20. Will the District specify what substances are to be tested? The Building Principal may specify specific classes or substances to be tested. The District reserves the right to screen for the following substances: alcohol, amphetamines, barbiturates, Benzodiazepines (Valium), Cocaine, Marijuana, Methadone, opiates (Codeine), Phencyclidine, Propoxyphene (Darvon), and Synthetic Cannibinoids. This list can be modified by the District at any time to include anabolic steroids, LSD, and Ecstasy. 21. Who will interpret the results of the drug test? The vendor selected by the District will provide Medical Review Officer (MRO) services by a licensed physician who is certified by the Medical Review Officer Certification Council (MROCC) or the American Association of Medical Review Officers as having proven by examination to have had the appropriate medical training to interpret and evaluate drug test results and thus qualified for certification as a Medical Review Officer. 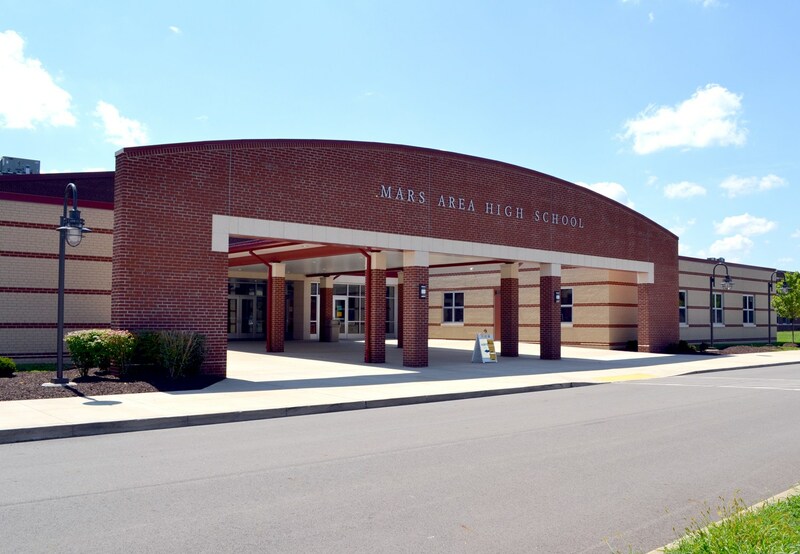 Additionally, the MRO must demonstrate a willingness to abide by the Procedure For Random Urine Drug Testing of Mars Area School District Students Participating In Interscholastic Sports as the evaluation of positive drug tests and reporting findings to the Building Principal in a timely and confidential manner. 22. For how long will the results be kept? All results will be kept on file for a period of seven (7) years and the vendor selected by the District must notify the District prior to disposal and of disposal methods in accordance with destruction of confidential information. 23. How will the test results be communicated to the School District? Positive Test Results — In the event of a positive test result, the Medical Review Officer (MRO) will certify all urine drug screens and report by telephone positive findings in a confidential manner to the parent(s)/guardian(s). The next contact regarding a positive result will be to the Building Principal. The MRO will also notify the Athletic/Activities Director, by phone, that a drug test returned positive giving only the dates of the collection and reporting. This contact will take place at the earliest convenience of the MRO after determining a positive result. Negative Test Results — In the event of a negative test result, the parent(s)/guardian(s) will not be notified. The testing records of all students who tested negative will be destroyed at the end of each school year. 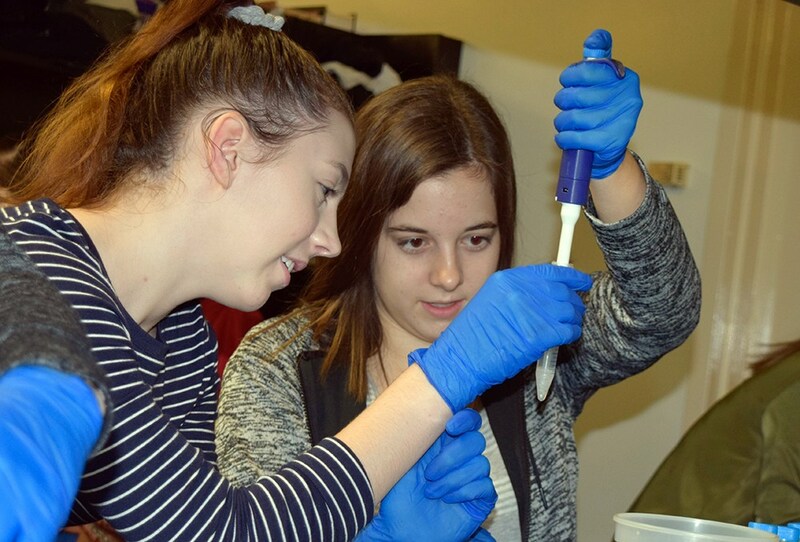 Students participating in the program for the full year and who have not tested positive on any tests throughout the year will receive a certification at the end of that year. 24. Will anyone other that the parent(s)/guardian(s) and the School District be notified of positive test results? The vendor selected by the District, testing laboratory, or Medical Review Officer (MRO) may not release any statistics on the rate of positive drug tests to any person, organization, news publication or media without expressed written consent of the Mars Area School District Board of Education. However, the vendor will provide the Superintendent with semiannual reports showing the number of tests performed, rate of positive and negative tests, and what substances were found in the positive urine specimens. 25. What happens if a student’s drug test indicates a positive result? The Building Principal will notify and meet with the parent/guardian/custodian first at his/her earliest possible convenience, then the student and Athletic/Activities Director of any positive results. A written notification from the Building Principal, by form letter, will be sent to the parent/guardian/custodian. The Building Principal may keep all test results for a period up to one (1) year. The student will be notified and be required to submit urine specimens, via the vendor, for four (4) consecutive sample dates. The costs of these four (4) tests will be incurred by the parent/guardian. If the parent/guardian/custodian or student wishes to contest the results, the vendor will arrange for the split portion of the specimen to be submitted to another SAMHSA certified laboratory for testing. This is done at parent/guardian/custodian or student expense. Such a request must be made to the Building Principal in writing within five (5) workings days from first notification of positive test results. The MRO may use quantitative results to determine if positive results on repeat testing indicate recent use of illicit or banned substances or the natural decline of levels of the illicit or banned substance from the body. If the MRO feels the quantitative levels determined to be above the established cutoffs do not reflect current use but natural decay, then negative results may be reported. All drug test results are considered confidential information and will be handled according to state regulations. 26. What are the consequences for Violating District Policy or Testing Positive? No student participating in this testing program shall be penalized academically for testing positive for illegal drugs. The results of drug tests pursuant to District Policy 227.1 Random Drug Testing will not be documented in any student’s academic records. Information regarding the results of drug tests will not be disclosed to criminal or juvenile authorities, absent legal compulsion by valid and binding subpoena or other legal process, which the District shall not solicit; in the event of service of any such subpoena or legal process, the student and the custodial parent/guardian will be notified at least seventy-two (72) hours before a response is made by the District. The records of all students who tested negative will be destroyed at the end of the school year. Only the records of those students who tested positive and whose penalties transcend the school year into subsequent school years shall have their records maintained. If a student refuses to submit a urine sample, the situation will be ruled as a positive result and the student will receive the same consequences as if s/he had tested positive. If a student participates in athletics and/or activities, and is a driver, both privileges will be revoked in accordance with the progressive consequences process if a true positive test is returned. First Offense — The student participant will receive a fourteen (14) calendar day suspension from any sport or activity in which he/she is participating or of his/her parking privilege at the time of the positive test. The student will be referred to a licensed facility for drug assessment. The student will be required to follow the recommendation of the licensed drug assessment facility or he/she will attend four (4) mandatory drug and alcohol education school sessions offered one (1) time per month. Should the student not attend the next regularly scheduled school session or complete the recommendation of the licensed drug assessment facility, the student’s suspension from the sport, activity, or parking will not be reinstated until such time as the student completes the program. Participation is contingent upon the student following through and complying with the facility’s recommendation. The student will also be required to submit urine specimens, via the vendor, for four (4) consecutive sample dates. The expenses of the assessment and the four (4) drug tests will be incurred by the parent/guardian. The student will also be referred to the SAP Team of the appropriate building and receive an appropriate educational program. The first offense for testing positive can be expunged by the District once the student provides documentation of forty (40) hours of drug counseling and successful voluntary passing of twelve (12) monthly drug tests by the District’s approved vendor, at the family’s expense. Community service may be used once approved by the principal to achieve the 40-hour total. This first offense can only be expunged once in the student’s time in the Mars Area School District. This documentation must be provided before the occurrence of a second offense. Failure of any one (1) of the twelve (12) monthly drug tests will not count as a second offense, but nullifies the first offense removal procedure. Second Offense Within A Six-Year Time Period — The student participant will receive a suspension of athletic, activity, and driving privileges for one (1) year. The student will also be referred to a licensed facility for a drug assessment. Participation is contingent upon the student following through and complying with the facility’s recommendation. The student will also be required to submit urine specimens, via the vendor, for four (4) consecutive sample dates. The expenses of the assessment and the five (5) weekly four (4) drug tests will be incurred by the parent/guardian. The student will also be referred to the SAP Team of the appropriate building and receive an appropriate educational program. Third Offense Within A Six-Year Time Period — The student participant will receive a permanent suspension of driving privileges as well as a permanent suspension from any sport or activity. The student will also be referred to a licensed facility for a drug assessment. The student will also be referred to the SAP Team of the appropriate building. 27. What if a student tests positive for a prescription drug? A student that is determined to have used a prescription drug without a legal prescription in their name will be given a positive test result by the Medical Review Officer (MRO). If, upon contacting the parent(s)/guardian(s), the MRO is advised of circumstances indicating that the positive result was due to parent(s)/guardian(s) error and not an intended abuse of the substance, the MRO shall instruct the parent(s)/guardian(s) to submit to the MRO and the Building Principal a written statement detailing the circumstances of the administration of the non-prescribed drug. The Building Principal, in consultation with the Superintendent, will consider whether the parent(s)/guardian(s) explanation for the violation warrants excusal of the violation of this policy. The disposition of the written statement by the school administration shall be final. The student shall undergo a second drug screen, at the expense of the parent/guardian, to ensure that the detected substance is in decay. Upon completion of these conditions, the student's participation and/or privileges shall be reinstated and the positive test will be removed from the student’s record. This provision for excusal may be applied only once during a student's enrollment within the School District and subsequent positive test results shall be subject to the consequences otherwise set forth in this policy. 28. What happens if a student falsifies, disrupts or interferes with a drug test? The possession of containers of urine or other substances, the provision of urine or other substances or the commission of other acts undertaken for the purpose of falsifying, disrupting or otherwise interfering with drug and alcohol testing administered pursuant to this policy may result in suspension from participation in athletic or extracurricular activities and the revocation of driving privileges. Additionally, such conduct constitutes a Level III violation of District Policy 218 Student Discipline that may result in suspension or expulsion from school. 29. 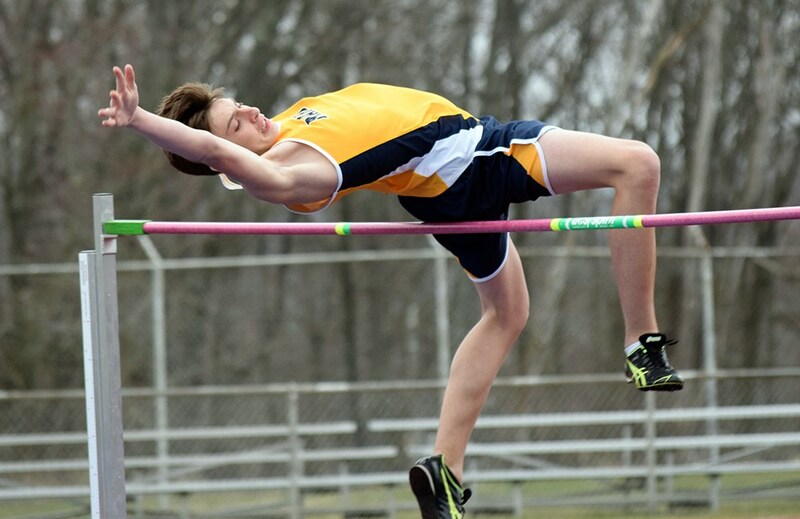 What if a student tests positive for a performance-enhancing drug? There exist several over-the-counter products known as sports-enhancing supplements. The purpose of those supplements is to assist an athlete, enhance his/her overall physical development, and some are designed to enhance a specific athletic event. The Mars Area School District wants to be clear in conveying the thought that the use of supplement(s) or product(s) designed to enhance performance is not endorsed or condoned. It is our hope that parents/guardians will support our view that the use of such supplements should be prohibited. As a means of conveying our opinions on the topic, our coaches, trainers and health teachers shall, through our curriculum and annual team orientations, address this issue with our students. The message we want to convey to our students is that preparation for athletic performance is best served through a proper and well-balanced nutritional diet and appropriate physical activity designed by our coaches, trainers, and weight room supervisors. 30. What is the Testing Negative, Positive Result Plan? As previously mentioned, students participating in the program for the full year and who have not tested positive on any tests throughout the year will receive a certification at the end of that year. 31. How can I learn more about the District's Random Drug Testing Program? More information regarding Mars Area School District’s Random Drug Testing Program will be announced throughout the school year. Specific questions may be directed to the Superintendent’s Office. To view District Policy 227.1 Random Drug Testing in its entirety, visit www.marsk12.org. Specific policy questions may be addressed to Mars Area School Board at masdboard@marsk12.org.